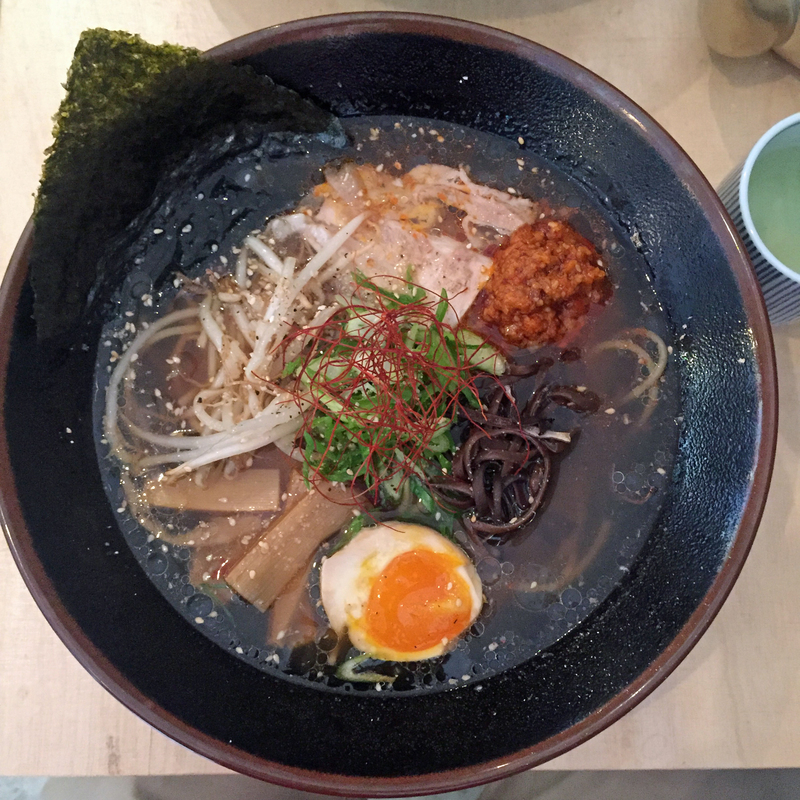 There is now plenty of choice for Brixton fans of ramen – basically Japanese style noodles in soup. 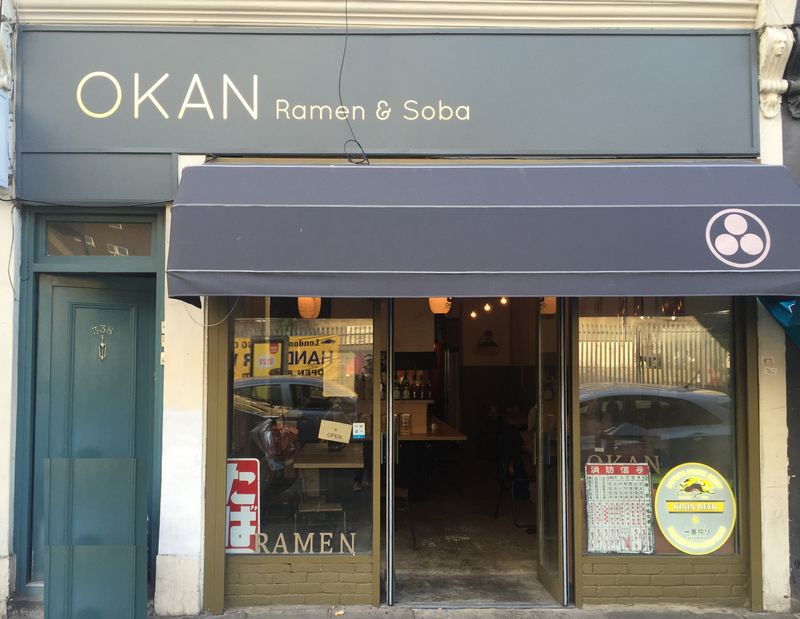 Oken Ramen, situated in Coldharbour Lane right next to Shrub & Shutter, is a new initiative from the more longstanding Okan Okonomiyaki, which serves Japanese style savoury pancakes in Brixton Village – see our review here. We can testify to the authenticity of the experience of eating at Okan. It’s just like the sort of place you go for cheap and cheerful ramen when in Japan, although we missed the shout of “irasshaimase” when you enter. There’s the kitchen on the left, with a counter for eating at and a few small tables and chairs. Given that it’s only just opened it’s a little bit shabby, although we are not sure if this “shabby chic” or “shabby, we don’t have much money to tart the place up”. But the kitchen is spotless and this doesn’t affect the quality of the food. 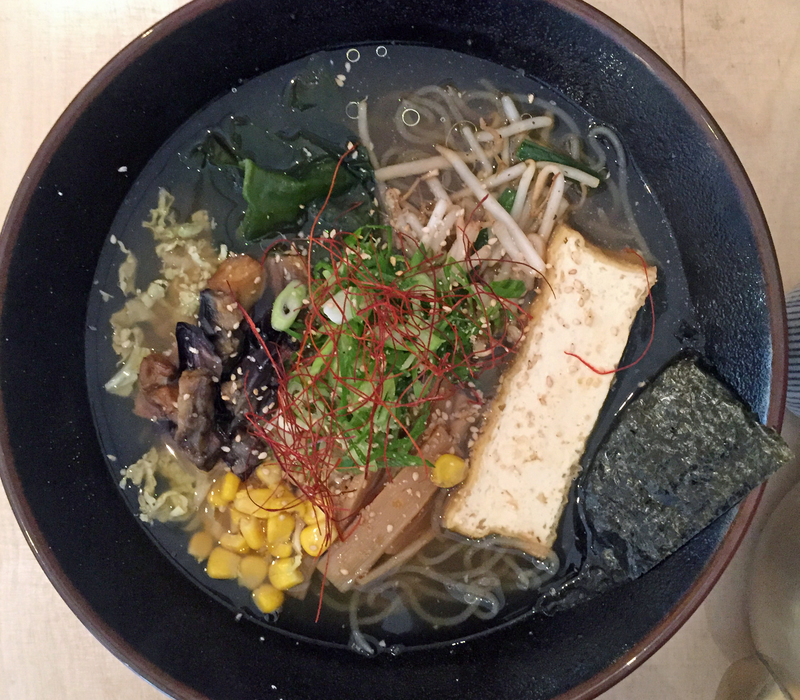 There are a few nibbles on the menu to start with but the focus is on the noodles – four basic dishes with ramen noodles and four with soba noodles. You really need to look at the menu on their website to understand all the permutations of the different types of broth and spicy/non-spicy. For the ramen there are kids’ size options, at half price for under 12s, plus a zero calorie wheat free option, with shirataki noodles made from yam root. We went early one evening, walking back from work, when business was slow. We have speculated before about the difficulty of getting people to come to that part of Coldharbour Lane, although both Shrub and Shutter and Mama Dough were already busy. We started with some edamame with Maldon salt, just to keep us going until the main feature started. Here we went for shoyu ramen, described as Okan’s signature dish, which is soy sauce based clear chicken broth topped with sliced pork belly, nitamago egg, beansprouts, kikurage mushroom and bamboo sheets. The other ventured into the unknown and chose the gluten free version of the vegetarian ramen, with seaweed broth topped with fried aubergine, tofu, beansprouts, green wakame, kikurage mushroom, bamboo sheets and yozu koshu (a paste made from chili peppers, yuzu peel and salt). The portions were ample, plenty for an evening meal. Indeed, some of the vegetarian ramen was left uneaten. They both looked good, although the Shoyu Ramen was definitely the better choice. The vegetarian broth is inevitably a bit bland, although the fried aubergine was good and the yozu koshu definitely added some interest. There’s a good choice of drinks, alcoholic and non-alcoholic. This includes some sake cocktails and expensive Japanese craft beers – £7.50 a glass – but also a pint of Kirin for £5. 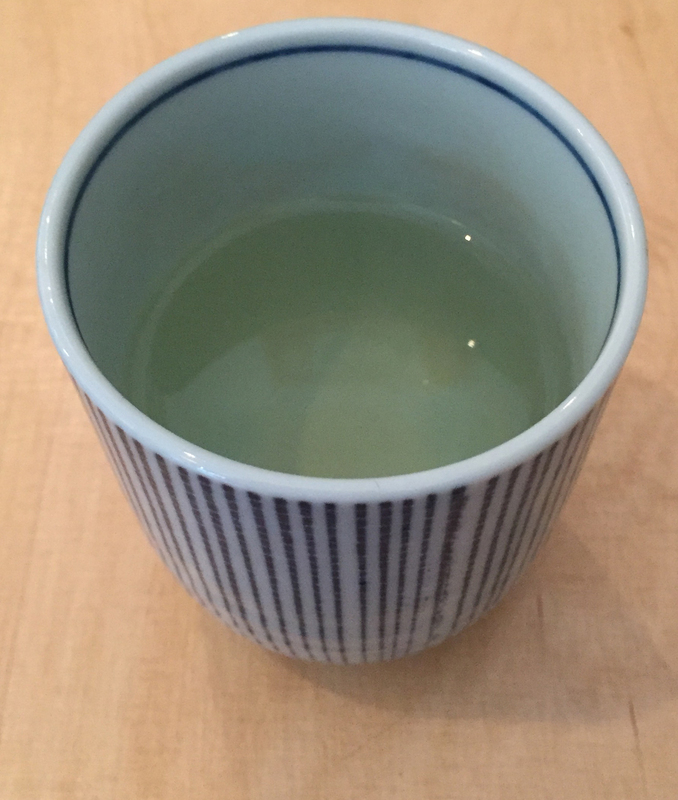 We went for Genmai green tea with roasted brown rice, which lived up to its “warm and nutty” description on the menu. The total bill came to less than £30, including a tip. We definitely liked the place and will probably go again but only when we are passing. The problem is that I won’t think of it as a destination. To get there we would have to pass Nanban and, given that the whole point of ramen is the quality of the stock, Nanban’s is undoubtedly better.